Burbank DUI offenders under the age of 21 must deal with unique and more extensive consequences than most other DUI defendants. The California legislature has gone to great lengths to discourage impaired driving, especially by those under the age of 21 who cannot legally drink. These policies are reflected in California Vehicle Code Section 23136 VC, which imposes a yearlong license suspension on any driver under the age of 21 caught with a blood alcohol level of 0.01 percent or higher. If the underage driver did not yet have a license, his or her ability to obtain a driver’s license would be delayed for a year. California Vehicle Code Section 23136 VC applies to underage drivers whether or not they drive in a manner consistent with impaired driving. As long as the underage driver is found to have a BAC of 0.01 or higher, the statute would apply and the Burbank driver would be subject to penalties. Because the BAC threshold is so low, use of products such as cough medicines, mouthwash and other widely available items can cause underage drivers to register a result when submitting to breath testing. Drivers under the age of 21 are required to submit to breath testing on an officer’s portable Burbank PAS device, as opposed to the majority of other drivers who do not have to take this test when requested. The penalties assessed under California Vehicle Code Section 23136 VC are civil in nature and are handled by the California Department of Motor Vehicles, as opposed to the courts. Underage drivers in Burbank who want to fight the allegations against them must submit a timely request for an administrative per se hearing. In Burbank, this would be handled by a hearing officer from the DMV Van Nuys Driver’s Safety Office. If the driver or his or her representative fails to request a hearing within the prescribed time period, the yearlong suspension would automatically go into effect. For Burbank drivers under the age of 21 who have a blood alcohol content between 0.05 and 0.07 percent, there would be additional penalties assessed through the courts in addition to the DMV penalty. Although these underage drivers could not be charged with misdemeanor DUI pursuant to California Vehicle Code Section 23152(b) VC, such drivers could be cited and charged with an infraction under California Vehicle Code Section 23140 VC. Drivers cited for this offense would have to appear before a judge at the Burbank Courthouse. If found guilty, a judge could impose significant fines, fees and assessments. In addition, these underage drivers would be subject to the yearlong license suspension under California Vehicle Code Section 23136 VC. Of course, Burbank drivers under the age of 21 who are found to have a blood alcohol level of 0.08 percent or higher, or those who refuse testing entirely, can be charged with misdemeanor Driving Under the Influence pursuant to California Vehicle Code Section 23152(a) VC and California Vehicle Code Section 23152(b) VC. Those who refuse testing would be charged only under California Vehicle Code Section 23152(a) VC, but would face a longer license suspension. Prosecutors tend to seek harsher penalties for underage DUI defendants and judges like to send a strong message to these defendants. 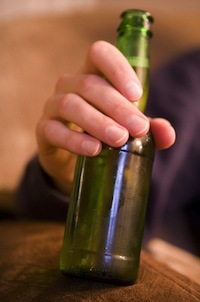 If convicted of DUI, the underage defendant can be sentenced to up to a year in jail, extensive probation terms, community service and/or labor, court fines, required alcohol awareness education, the Hospital and Morgue (“HAM”) program and any other conditions of probation that may be deemed appropriate. In addition to what is required from the court, the DMV will issue a yearlong driver’s license suspension. If you or a loved one have been charged with or cited for an under 21 DUI incident, it is very important that you consult with a knowledgeable Burbank DUI lawyer as soon as possible. The DMV deadline to request an administrative hearing can easily be missed, and an attorney can handle this process. As a former Deputy District Attorney with over 14 years of prosecutorial experience, Burbank DUI Attorney Michael Kraut knows how to effectively fight DUI cases. Mr. Kraut was formerly assigned to prosecute crimes in the Burbank Courthouse and is highly respected throughout the legal community as a top-notch litigator who possesses a mastery of the DUI laws. For more information about Burbank DUI charges for those under the age of 21, and to schedule your free consultation, contact Burbank DUI Defense Lawyer Michael Kraut at the Kraut Law Group located at 2600 West Olive Avenue, 5th Floor, Burbank, CA 91505. Mr. Kraut can be reached 24/7 at 888-334-6344 or 818-563-9810.